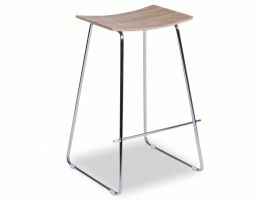 Our Hudson Counter Stool gives you a contemporary breakfast bar stool or kitchen counter stool perfect for your modern interiors. 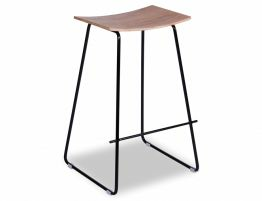 This simple modern barstool mixes a beautifully grained, sloped Oak wood seat with a gleaming chrome frame. Get a modern Yvonne Potter inspired barstool without eating up your entire kitchen budget. 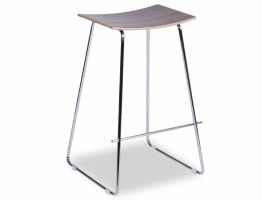 This furniture piece embodies the chic qualities of fashion, the style of truly exceptional design and the clean lines and sensibility of sound architecture. 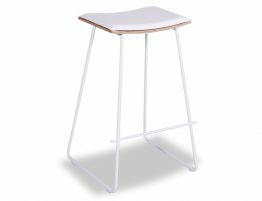 Update your look with affordable designer furniture like this minimalist Hudson Counter barstool. 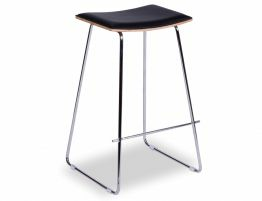 You'll find the best Kitchen Stools Online in Melbourne at Relax House.